Looking for Club Wyndham Access (Biennial/EOY) Even Years ...... If such a contract exists. Looking for someone ready to unload their 2BD Ocean Front for a bargain. Our family is looking to adopt your Mountainside Villa Massanutten Massanutten Mtn Side Villas we live locally and will gladly take over your deeded ownership. We thank you. Hi! Looking to purchase a 2-Bedroom fixed week 23-33 week at The Pointe Resort & Club in Minocqua. Please email cedarburgsteve@gmail.com or cell (262) 421-5065. Thank you! We desire Gold Canyon, preferably a deeded, floating week. I want to buy 12,600 or 14,400 or 17,250 points at the HGVC Kings' Land resort, Platinum season. Willing to pay $1 per point. I am looking for week 51/52 in europe with high number of rci points. I am from uk. Looking to buy a floating week or fixed winter week. Thanks. Looking to purchase high season week 52 or weeks 1 through 15 at Aruba Renaissance only, no other resort. Prefer weeks 5 and 13, prefer pool view rooms, but will consider others. Will provide phone after initial exchange of e-mails. We (wife and I - private users, not a business) are looking to purchase somewhere around 5,000 and up to 15,000 Worldmark points ASAP. Desire to pay less that $.20 per point "all in" (that is, with all costs including closing & transfer fees) - will pay more if it includes banked points. Wanted to buy deeded week only! Not Shell, not Wyndham. Thank you. Looking to buy mid winter ski week at the Aspens on Blackcombe by Whiski Jack, 2 or 3 bedroom. Prefer week 5,6,8, or 9 but may consider week 4 or 10. We currently own Week 7. Long time TUG member looking for an even every other year one bedroom platinum week (I.e. the smaller one bedroom) in the Key West section only. I am interested in getting a unit at Club Donatello. Note that I am only interested in a week deeded at Club Donatello, not Shell points. Seeking Sheraton Vistana Villages BELLA or KEY WEST ONLY!!! 95,7 EOY preferred. Will consider 95,7 or 81k annual. Need 2020 usage....can bank 2019 usage for 2020. I'm interested in purchasing a Week in building E. I'm only interested in building E. Thank you. Looking to buy Worldmark points. No out of pocket expense to you. Totally legitimate! Contact us now! Want to buy Platinum winter week at Marriott Mountainside. My family expanded. I want to buy a 1 BR Deluxe Platinum Plus season at Westin Kierland Villas (67,100 staroptions) to go with my 1BR premium that I own. Thanks for looking. Interested in a Penthouse, 2BR, or Master Bedroom Unit at Playa Grande weeks 1, 2, 3, or 4. Want to buy RCI points. Please call or text 305-915-1515 for quickest response. Looking to buy into DVC Aulani. Desire a 1 bedroom unit for use in year 2019 and beyond. Will offer to pay 2019 maintenance fee plus will negotiate transaction costs and purchase price. Would be willing to swap for a 1Br at Caribbean Beach Club, Ft Myers Fl Week 46 which trades well with RCI. Looking for week 51 and 52 in ski areas in Colorado. Looking for a summer float week (would consider a fixed week) at Grande Bay in Westin St John. Hi, I am looking for a timeshare in or around Indio or Palm Springs, CA for use beginning now, 2019. Preferably with a floating week. Looking for timeshare near Phoenix, AZ that will be available annually on March 6th. Prefer Mesa or Scottsdale areas but open to nearby locations. Prefer Building E, open to any. I would like to buy points for a two bedroom + two bath room at the Wyndham Mauna Loa Village on Hawaii from June 19 to 22, 2019. I am a fixed week owner that would like to stay an extra 3 days prior to our week's reservation. If are interested in selling points for my needs, please respond via email. Thanks. Will take deeds off people's hands for the above resort and dates. Title must be free and clear and MF paid to the following year. Will take care of the title transfer process. 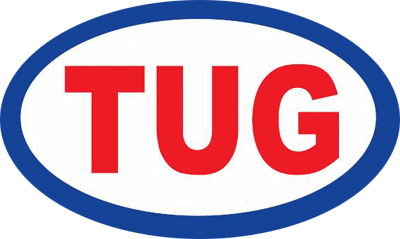 I am a TUG member and a fixed week owner at the Wyndham Mauna Loa Village on Hawaii. I am looking to purchase points to add an additional 3 days to my upcoming stay at the Mauna Loa in June 2019. I plan to use these points from a Wednesday to Saturday before my fixed week reservation starts. If you have points that fit my needs and are willing to sell them, please contact me via email to discuss. Thank you. Looking for the Hyatt Beach House Key West Fl. Only, It will be a quick purchase, if you can’t Waite and need to sell Right away, I will buy at a reasonable price. Minimum 2000 point unit preferably in the F buildings. Thanks! Looking to take over your fixed week 52 (2 bedroom unit) at Coral Reef Beach Resort. Or, I have a 2 bedroom float week there that I can swap with you. Looking for points at $2.75/per point. I am looking to buy Hyatt Coconut Plantation Diamond Weeks 5-12. (No Silver Weeks) From an owner, No Brokers please. You will get $6,000 net to you, right now. I will consider weeks 4 or 13 which are only 2,000 point weeks. I will use a licensed title and escrow company. They do all the work with Marriott. You do not need to find your original deed. Please let me know if you are trying to sell. Looking for a 3 bedroom in West Village( preferred )but will consider North Village or River Island. Week 10. Saturday to Saturday. Hello, new TUG member here, Our family is looking to adopt / purchase your deeded Quarter House unit. Thank you for contacting us. Platinum Season Only! Odd Year - 1 Premium Bedroom or Odd Year - 2 bedroom. I am seeking a 7200 point Studio Premier, Platinum Season at West 57 in New York City. Life happens and conditions change - health, death, divorce, loss of a job, or simply getting bored with your timeshare and seeking something new. If you are seeking to get out of your West 57 Studio Premier 7200 point timeshare and stop the burden of annual maintenance fees, I will buy your unit with cash. I would like to own this specific unit and will buy at the right price so please do not contact me with non-competitive offers, other unit types or points values. If you are willing to aggressively price your unit to get this financial burden off of your hands, please contact me. I am willling to add to our HGVC portfolio at the right price. Thank you. Looking to buy into Disney Vacation Club. I would prefer Aulani but willing to consider any Disney property. Thank you! DO YOU WANT TO GET OUT OF YOUR WYNDHAM CONTRACTS? WE HAVE A WAY AND THIS IS NO SCAM!!!! MUST BE PLATINUM OR PRESIDENTIAL OWNERS!!! 100% GUARANTEED AND NO MONEY OUT OF POCKET!!!! CALL FOR MORE INFO!!!! I would like to purchase Four Sails, Weeks 33 and 34. If a Week 34, I would prefer Friday Check-In, but will consider anything for sale. I am looking to buy a summer week (week 26, 27, 28, 29, 30, 31 or 32) at the Outer Banks. I am looking to buy/swap your summer week (week 27, 28, 29, 30 or 31) at VV in the Berkshires. Anyone wishing to get out of there HSH timeshare. I am looking for another week. I am looking to buy/swap for your summer week (week 27, 28, 29, 30 or 31) at VV in the Berkshires. I'm searching for a points owner at Shearwater that is looking to get out from under the maintenance fees & end their ownership. I can help with transfer/legal costs. Thank you! I'm in search of a points-only contract at Bali Hai. I'm willing to help with closing/transfer fees (Closing is usually around $180 and Wyndham charges a transfer fee of $299). Thank you! Looking for a 2-bedroom (or one of the larger 1 bedroom) fixed week Quarter House deed either for early spring or mid-October; willing to pay transfer/closing costs. Thank you! I am interested in purchasing a summer unit at Newport Onshore. I am very interested in a fixed summer week - June, July, or August (week 25 to week 32). Please do not respond if you own a flex week, floating week , week in January to May, or week in September to December.